Ruins Mod for Minecraft is the latest attraction in the Minecraft. The developer of this mod is AtomicStryker who has made many cool mods for Minecraft. It’s a Structure Spawning System that creates/generates old buildings (ruins) in Minecraft. They are often filled with treasure chests which grant you precious blocks and weapons. Ruins mod is available for Minecraft. First make sure you have Minecraft Forge API or just download them from the sidebar. Now download Ruins Mod zip from link above. Transfer all the files into the Modloader and then put them into Minecraft.jar. In the end put the files into the Minecraft folder. There you have it. Enjoy playing Minecraft with Ruins Mod. 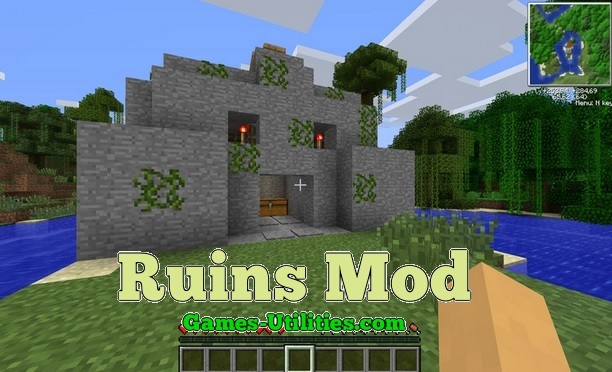 Guys if you having some problems related to Minecraft Ruins Mod for 1.6.1 just share it via comment section. There is a possible chance that someone has its solution and he will reply you. So have fun playing Ruins Mod and keep coming here to check the latest updates.